PICKERING, ONTARIO, CANADA, OCTOBER 1, 2018 — BLUESOUND, the leader in wireless, high-res multi-room music systems, announced Bluesound Generation 2i (Gen 2i), building on the success of the brand’s previous platform. Gen 2i continues to strengthen the Bluesound line with dual-band Wi-Fi, Apple AirPlay 2 support, upgraded Bluetooth codecs, improved amplification and acoustics, and more while maintaining value for consumers with minimal changes to retail pricing. Bluesound’s new models are: NODE 2i (£499), POWERNODE 2i (£799), VAULT 2i £1099), PULSE 2i (£749), PULSE MINI 2i (£499), PULSE FLEX 2i (£299), and PULSE SOUNDBAR 2i (£799 in Black/£899 in White). There are no changes being made to the PULSE SUB. As before, all Gen 2i models will be offered in a choice of Black or White finishes. All models are available now, with the exception of the PULSE SOUNDBAR 2i, which will follow in November. All Bluesound models feature BluOS™, an award-winning, music management system that connects, organizes, and controls your music. Choose music from your favorite streaming service or from a music library connected to your home network. Bluesound integrates all these sources and sends the music to every room in the home. Featuring a family of dedicated multi-room, wireless streaming digital music players, Bluesound delivers a compelling high-resolution wireless digital music system with an audiophile-grade feature set. All Bluesound Gen 2i models are designed to support AirPlay 2, which will be delivered to Gen 2i owners via an upcoming software update. With AirPlay 2, Gen 2i owners can stream just about any sound from their iPhone, iPad, or Mac to their Bluesound system — all in sync. Customers can stream music, books, and podcasts from their favorite Apps, or watch videos on their Apple device while streaming the audio through to their Gen 2i Player – imagine watching Netflix or YouTube on an iPad while filling the room with premium sound from a Bluesound system. By grouping a Gen 2i Player with older Bluesound Players in the BluOS App, existing customers can add AirPlay 2 compatibility to their entire BluOS system. AirPlay 2 will be available for Gen 2i Players in an upcoming software release. Gen 2i contains Bluesound’s most advanced take on Bluetooth to date – two-way Bluetooth, featuring both Receive and Transmit functionality. Receive capability allows users to wirelessly stream from their device to a Bluesound Player just like they’re used to doing with Gen 2. The Transmit capability means the user can now use their Bluesound Gen 2i Player as a source, sending what they are listening to via Bluetooth to a pair of wireless headphones. One exception: Bluesound PULSE FLEX 2i only supports the Receive functionality via Bluetooth. 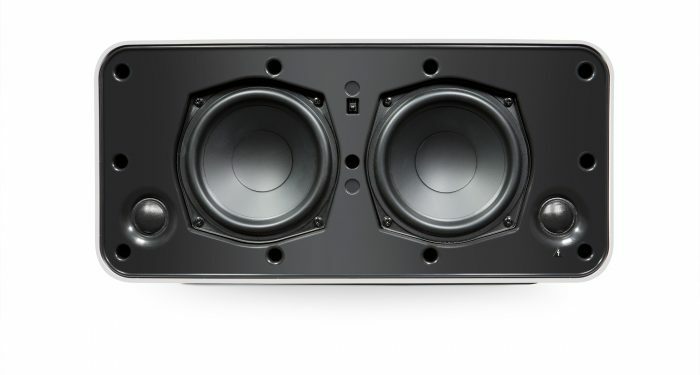 While Bluesound has improved the Bluetooth connectivity in Gen 2i, engineers also made sure that audio quality improvements are part of the Gen 2i Bluetooth story. The advanced Qualcomm CSR8675 chip used in these new products also supports aptX HD Bluetooth wireless audio. aptX HD is an enhanced codec that supports 24-bit audio over Bluetooth and has been engineered to improve the signal-to-noise ratio, resulting in lower background noise. With the ability to support streams up to 24bit/48kHz, a customer streaming from an aptX HD compatible device to a Gen 2i Player is actually able to listen to better-than-CD quality, wirelessly. It all fits into the Bluesound story – modern wireless convenience without sacrificing quality. Note that the PULSE FLEX 2i only supports aptX Bluetooth. Bluesound has also upgraded the Wi-Fi chipset technology in its Bluesound Players to the latest and greatest Wi-Fi 5 (802.11ac) dual-band offering. Best-in-class products deserve best-in-class connection; with the new Wi-Fi chip onboard, Gen 2i owners can take advantage of the less noisy 5 GHz band if needed. This results in faster connection times and fewer interruptions from other network traffic. Who doesn’t like more power? All-new, custom-designed digital amplifiers in Bluesound’s PULSE 2i and PULSE MINI 2i effectively double the available power used to drive these speakers. The difference is dramatic with improved bass response and more powerful sonic soundscapes as the new norm in Gen 2i. New driver configurations in the PULSE 2i, PULSE MINI 2i, and PULSE FLEX 2i complement the upgraded amplification; the PULSE 2i and PULSE MINI 2i in particular now function as true stereo speakers. Users also have better control over their audio settings with the PULSE 2i and PULSE MINI 2i. Popular DSP settings like Wide Mode, Late Night, and Dialog, much-loved and much-used in the Bluesound PULSE SOUNDBAR, are now available to these updated Gen 2i speakers. The innovative mix of amp upgrades, driver re-configurations, and updated DSP settings breathes fresh life into the PULSE speaker lineup and reflects Bluesound’s commitment to creating the best wireless, multi-room home audio experience available. The POWERNODE 2i now features two TOSLINK/3.5mm Optical and Analog inputs while the PULSE SOUNDBAR 2i now includes HDMI (ARC and eARC). These provide improved connectivity and flexibility. All BluOS users, including Bluesound users, will receive a prompt to update their Players and their app on October 1, 2018. Updating to BluOS 3.0, all BluOS users will gain access to new music services like SOUNDMACHINE and Taihe Music Zone (China only) and an easier guided set-up process. As well, the release will include the plumbing for BluOS’s first voice integration, Amazon’s Alexa voice assistant, with the corresponding library of skills to launch soon. BluOS 3.0 also contains specific support for Gen 2i features like two-way Bluetooth with aptX HD and enhanced audio EQ settings including wide mode and deep bass. Software updates to support AirPlay 2 will come in a later release.